You endocrine system is an information superhighway that regulates your bodily functions. It releases hormone “messengers” through your body’s glands to stimulate and regulate everything your body does to keep you alive. Understanding endocrine disruptors is a first line to balancing your endocrine system and hormone functions. Endocrine disruptors and man-made chemicals that alter, mimic or block hormone production or the system that carries them. You can call these external stressors, while your internal stressors that affect the system are rooted in negative emotions, fear, trauma and stress. According to the Natural Resources Defense Council some of the proven endocrine disruptors include dioxin, PCBs, DDT, and other pesticides. 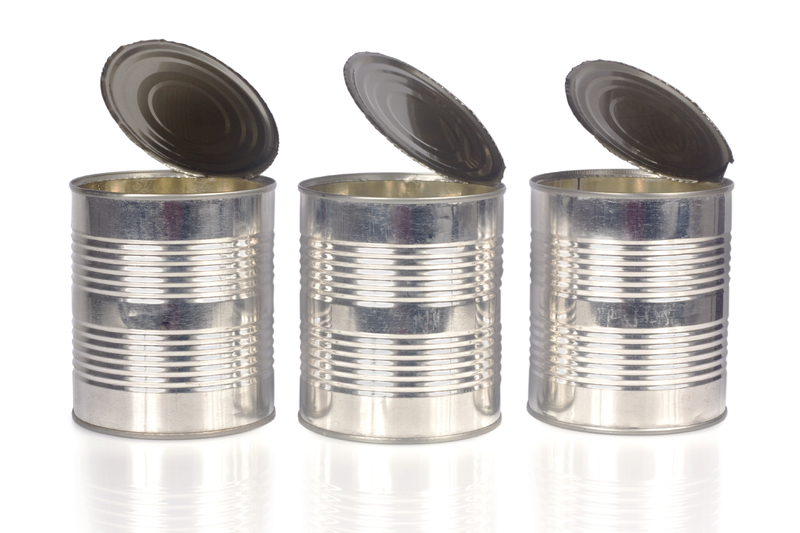 Bisphenol: BPA, BPS in plastics and in the lining of canned goods. Triclosan: “antibacterial” products that interfere with thyroid hormones. Phthalates (DBT, DEHP): haircare products, lotions, some plastic food containers, vinyl. Perfluorinated chemicals: Teflon, Gore-Tex, PFOS, PFOA, as well as anything “stain-resistant,” make-up, nail polish and (surprise) dental floss. Parabens: butyl-, methyl-, ethyl-, and propyl-parabens act as synthetic estrogen. Sodium lauryl sulphates (SLS): a foaming agent in personal care and cleaning products. Fluoride: blocks proper absorption of iodine by the thyroid gland as well as affects the pineal, parathyroid and pancreas. It causes dental and skeletal fluorosis. These are some of the major culprits, and by no means is this a complete list. There are more than 80,000 chemicals and pesticides on the market in the U.S. that have never been tested for safety, and they’re in everything from food packaging to your clothes, your furniture, carpets and cabinetry. Even with the EPA in place, there isn’t proper testing done on chemicals to determine toxicity or the effects on the population. The government takes the stance that many of these chemicals are GRAS (Generally Recognized As Safe) … until proven otherwise. The general population doesn’t have the resources to prove these chemicals are safe and government feels its a burden that is too much for industry to bear. Buy fresh or frozen instead of canned. There are a few companies that don’t use BPA-lined cans, such as Muir Glen and Eden Foods. If it smells like plastic or vinyl, it’s off-gassing and your body is absorbing that through your skin (your largest organ) and your lungs. Don’t purchase or use anything anti-bacterial which are in most personal care products to protect us from germs and microbes. Watch out it is in toothpaste now as well. Plain old fashioned non-detergent soap is good enough to fight most germs. Use bamboo cutting boards instead of plastic. They are naturally anti-microbial. Don’t try to attack this all at once. As you can afford, start replacing things that you use or that you are in contact with the most. Categories: Uncategorized | Tags: BPA, chemicals, endocrine, flouride, teflon, triclosan | Permalink. The rise in disorders like autism, ADHD and dyslexia could be linked to the industrial use of neurotoxic chemicals, according to new research published in The Lancet (Grandjean & Landrigan, 2014). The epidemiologists have identified six chemicals that could have negative effects on children’s development. This is on top of a previous report in 2006 which listed five potentially dangerous chemicals. The six chemicals include fluoride, manganese, a solvent called tetrachloroethylene, DDT (a pesticide) and a flame retardant containing polybrominated diphenyl ethers. Manganese has been associated with reduced intellectual function, reduced achievement in mathematics and increased hyperactivity. Flouride at higher levels in drinking water has been associated with seven point decrements in IQ. Pesticides like DDT, which are banned in richer countries, are still used elsewhere and have been associated with neurodevelopmental disorders. These substances have been added to a growing list of chemicals which are well-known neurotoxins, like lead and methylmercury. The authors suspect there may be many more chemicals in regular industrial use which may be damaging to children’s developing brains. These include Phthalates and bisphenol A, which are used in plastics and cosmetics and air pollutants like carbon monoxide. For example, one study of pollution in California has linked pollution from car exhausts to higher rates of autism spectrum disorders (Volk et al., 2013). Very few of these potentially dangerous chemicals are regulated simply because little effort has been made to look at the dangers and the very high standards of proof that are required. “The presumption that new chemicals and technologies are safe until proven otherwise is a fundamental problem. Classic examples of new chemicals that were introduced because they conveyed certain benefits, but were later shown to cause great harm, include several neurotoxicants, asbestos, thalidomide, diethylstilboestrol, and the chlorofluorocarbons.” (Grandjean & Landrigan, 2014). The authors say that in order to protect children’s brains–which are highly sensitive–a new agency should be established to screen and test new chemicals used in industrial processes. 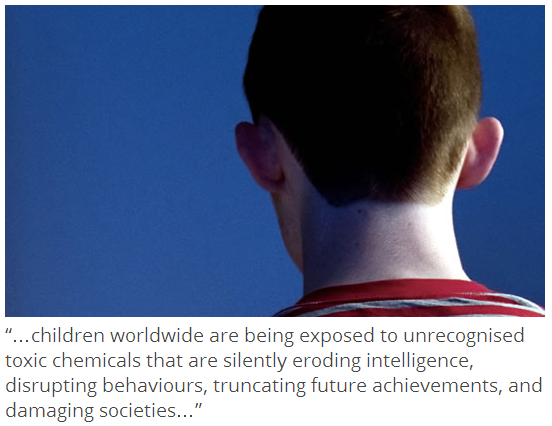 “…the total number of neurotoxic substances now recognised almost certainly represents an underestimate of the true number of developmental neurotoxicants that have been released into the global environment. Our very great concern is that children worldwide are being exposed to unrecognised toxic chemicals that are silently eroding intelligence, disrupting behaviours, truncating future achievements, and damaging societies, perhaps most seriously in developing countries.” (Grandjean & Landrigan, 2014). Categories: Uncategorized | Tags: adhd, chemicals, children, flouride, kids | Permalink.